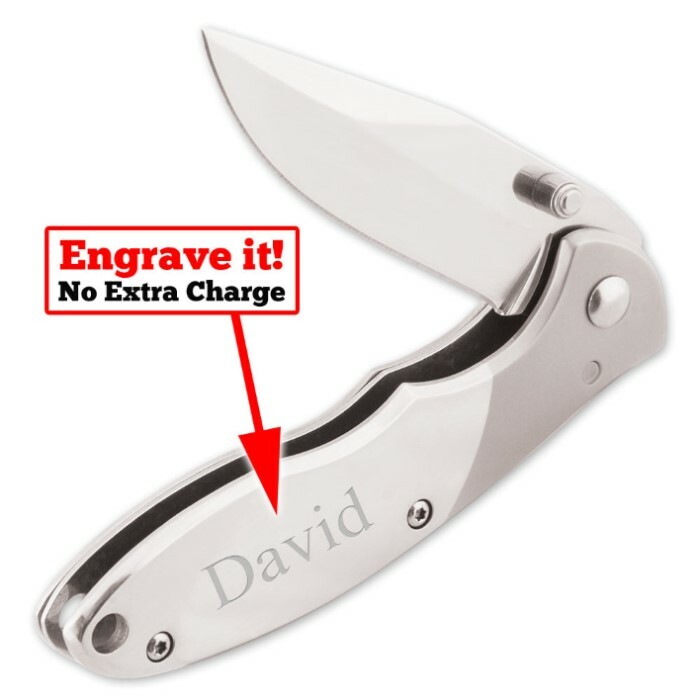 Personalized Stainless Steel Pocket Knife | BUDK.com - Knives & Swords At The Lowest Prices! If you're looking for the perfect gift for anyone, you've found it. This personalized pocket knife is only $12.99 and that includes the personalization! Have a name or message laser etched on to the beautiful bead blasted handle of this knife to show that special someone that you really care. Whether it's a groomsman, husband or someone graduating or getting married, this is the perfect gift to commemorate the occasion. Get yours now before it's too late! You will not be disappointed!